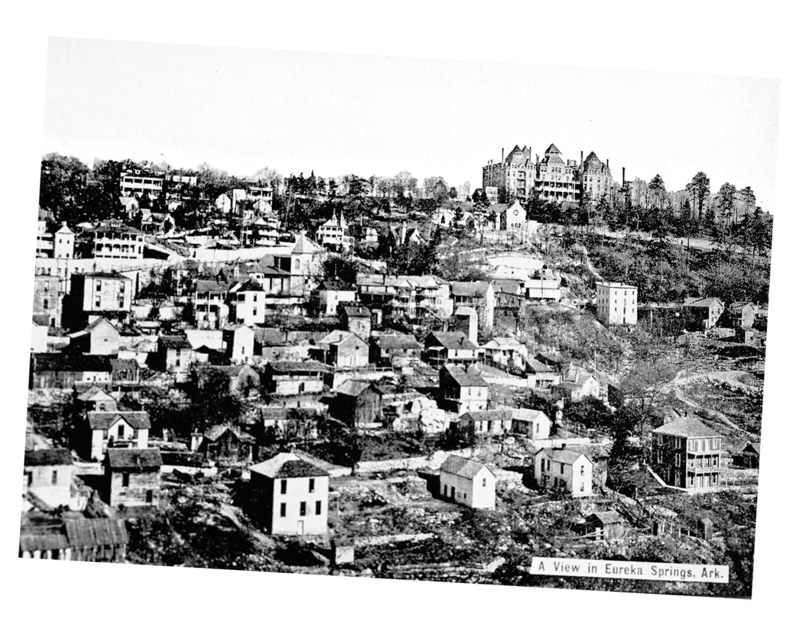 Even if you’ve never visited Eureka Springs before, you’ve certainly heard of the 1886 Crescent Hotel. It’s known as one of the most haunted hotels in America, and the reasons for that become clear when you look at the building’s history. Built between 1884 and 1886, the hotel opened its doors on May 20, 1886, with a banquet, dedication ceremony and gala opening ball. It featured large airy rooms and a ballroom. At the time it was built, some proclaimed it to be one of the most luxurious hotels in America. 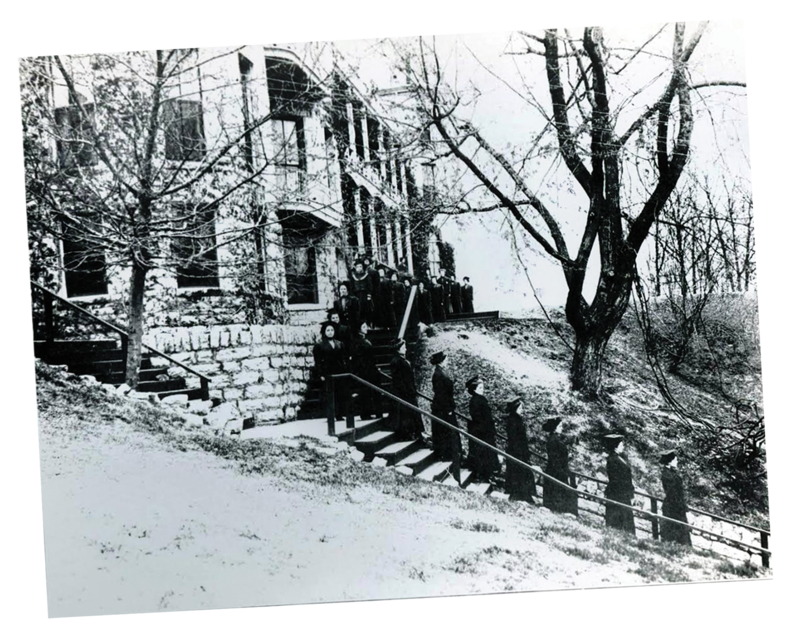 The hotel was operated by the Eureka Springs Improvement Company as a year-round business from 1886 to 1901, when it was leased by the Frisco System for five years and remodeled. It reopened on July 3, 1902, as an all-year resort. In 1908, the building began operating as a nationally patronized junior college for girls known at Crescent College. Accredited by all state universities, the college was a member of the North Central Association of Schools and Colleges. It operated as a school from September to June and opened as a hotel during the summer months. The college closed down in 1932. Between 1933 and 1937, the structure was owned by several different people as a hotel. It slowly fell into disrepair because of the Great Depression. In 1937, Norman Baker purchased the building to serve as the site for Baker Hospital. “Dr.” Baker was, to put it bluntly, a quack. He even had it painted above the front door of the hospital: “Quacks are those who do things enemies can’t do.” Baker converted the hotel into a hospital and treated thousands of desperate patients with his cancer concoction, consisting of watermelon seed, clover and carbolic acid. Reportedly, Baker accumulated hundreds of thousands of dollars and kept it in various safe deposits known only to him. He eventually was tried and convicted of mail fraud in 1940, after he had his patients sign letters in advance to administrators of their estates asking for extra money, when in truth, the patient might already have died. Baker was sentenced to four years in the federal penitentiary in Leavenworth, Kan. and was fined $4,000. He served three of those years and then bought a three-story yacht, where he lived out his days off the coast of Florida. Ironically, he died in 1958 of liver cancer. He couldn’t even cure himself. The hotel was unowned between 1940 and 1946, reopening in 1946 under Dwight Nichols. Nichols offered six-day package tours with hayrides, picnics and square dancing. The hotel sold to Crescent Heights Developments of Wichita, Kan., in 1972, with Riverview Management of Kansas City purchasing it in 1980. The hotel was foreclosed in 1988 and later sold at a public auction. Today, it’s owned by Elise Roenigk and features a spa, pizza restaurant and fine dining restaurant. It’s rumored the hotel is haunted by those who have lived and died there over the past two centuries. But don’t take our word on it … go see it for yourself!